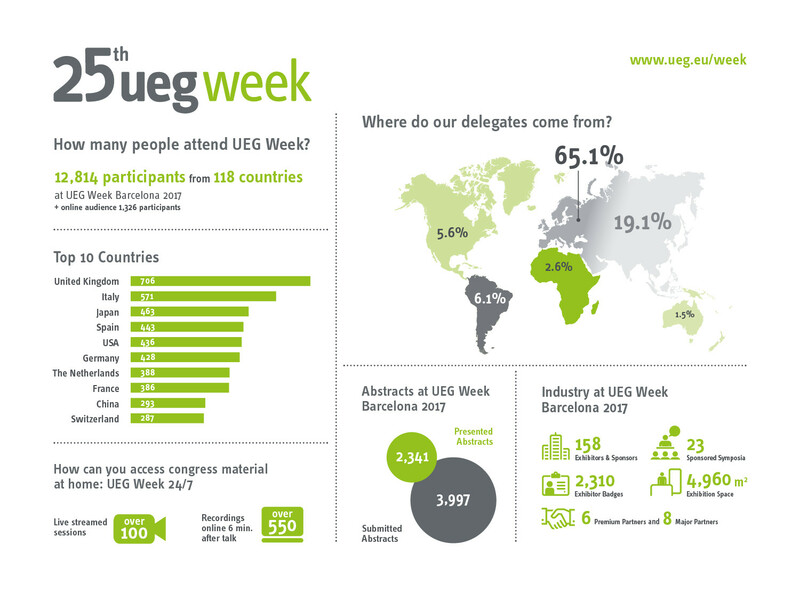 Up to 13,000 participants (onsite and online) from 118 countries attended UEG Week Barcelona, making this meeting another success. 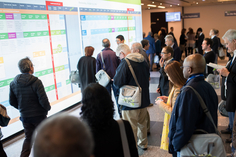 We are looking back at 5 intensive days of scientific advances, updates and getting together of practitioners, top scientists and everyone invested in digestive health. 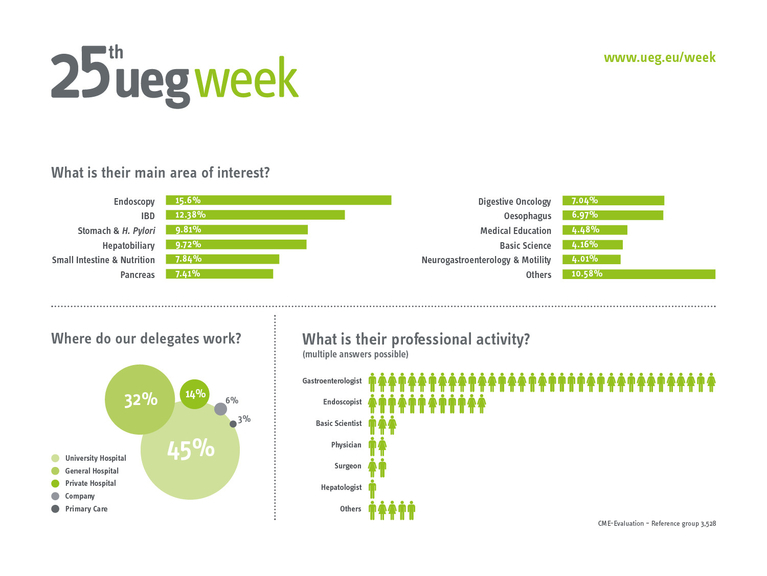 With over 1,326 who tuned in on UEG Week Live and participated from around the world, UEG Week Barcelona truly lived up to its motto: advancing science - linking people. 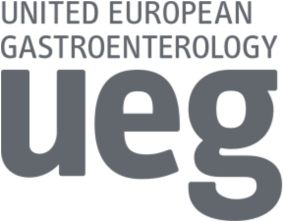 Missed a Key Session? 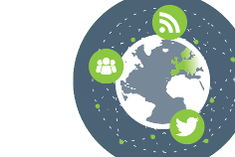 Would you like to rewatch top speakers? 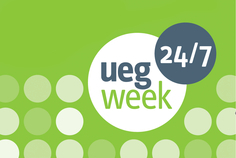 All UEG Week highlight sessions are available on demand: free for delegates and at attractive rates for everyone else. 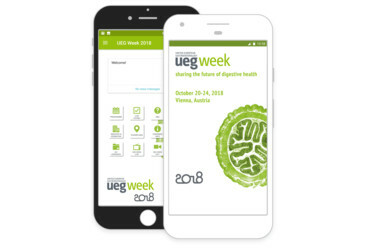 Watch over 100 sessions streaming live from UEG Week Vienna 2018. The app is completely free and provides iOS and Android users a congress experience at their fingertips.